Rent-to-own stores are popping up across America—especially in the South—targeting people with little money and no credit by giving them the opportunity to purchase middle class items with high interest rates that end up costing people double or triple the item's original cost, Chico Harlan reports for The Washington Post. "In some ways, the business harkens back to the subprime boom of the early 2000s, when lenders handed out loans to low-income borrowers with little credit history," Harlan writes. "But while people in those days were charged perhaps an interest rate of 5 to 10 percent, at rental centers the poor find themselves paying effective annual interest rates of more than 100 percent. With business models such as 'rent-to-own,' in which transactions are categorized as leases, stores like Buddy’s can avoid state usury laws and other regulations." Fear spreads faster than diseases. 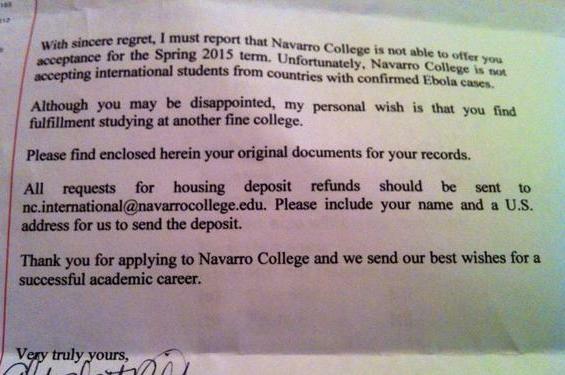 Navarro Community College in Corsicana, Texas, about 55 miles outside Dallas, has been sending form letters to some applicants informing them "that it is not accepting students from countries with confirmed Ebola cases," reports CNHI News Service. In some instances, students from countries with no reported cases of Ebola say they have received the rejection letters. The current Ebola epidemic is a fluid, dynamic, unprecedented situation for our country and our school. At this time, we believe it is the responsible thing to do to postpone our recruitment in those nations that the Center for Disease Control and the U.S. State Department have identified as at risk. We will continue to monitor the situation closely. We are eager to resume accepting student applicants from these countries as soon as possible. Nowhere in the U.S. can a single-income household afford a decent one-bedroom residence by working a 40-hour week at minimum wage, The Washington Post reported in April. But things could be changing for low-income workers, with at least 10 states and Washington D.C. having passed minimum wage increases this year, while voters in Alaska, Nebraska, South Dakota and Arkansas can approve minimum wage increases in November, Niraj Chokshi reports for the Post. 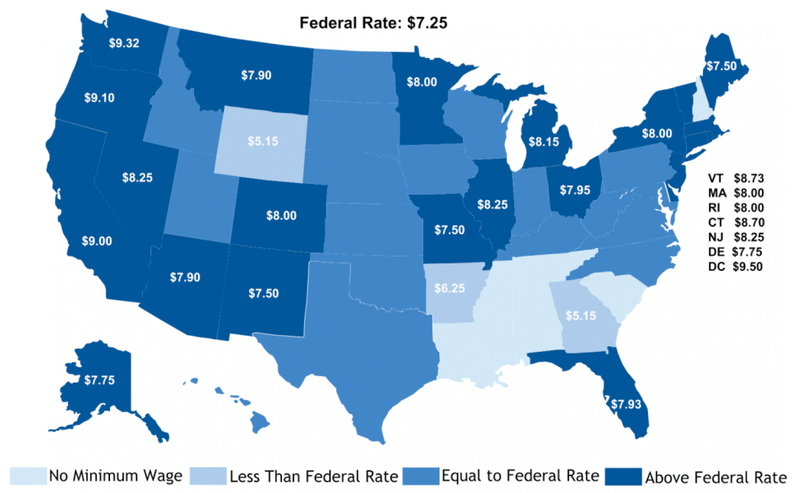 The federal minimum wage is $7.25 per hour, but 23 states and Washington D.C. have set higher minimums, Chokshi writes. Alaska is considering raising its rate to $9.75 by 2016, Nebraska to $9 in 2016, South Dakota to $8.50 in 2015 and Arkansas to $8.50 in 2017. "Illinois voters will give their opinion on a hike to $10 in 2015, though that measure is not binding." Dust from mountaintop removal promotes the growth of lung cancer tumors, says a study by West Virginia University researchers published in the journal Environmental Science & Technology, Ken Ward reports for the Charleston Gazette. For the study, dust was collected from communities near mountaintop removal sites in Southern West Virginia, with researchers examining "its effects on human lung cells to try to investigate previous statistical evidence that showed elevated lung cancer in coal-mining communities, even after adjusting for other factors such as smoking," Ward writes. Also at the meeting were representatives from the American Farm Bureau Federation, the Associated General Contractors of America, the National Association of Home Builders, the International Council of Shopping Centers and the National Cattlemen's Beef Association. EPA has expanded its public comment period on the rules to Nov. 14. Comments can be made by clicking here. The Environmental Protection Agency on Wednesday gave final approval to Dow AgroSciences herbicide Enlist Duo to be used with new genetically modified corn and soybeans, Carey Gillam reports for Reuters. The decision "outraged critics, who say the approval violates environmental law and will create a host of problems for people and animals." The U.S. Department of Agriculture gave final approval to Enlist Duo in September. The herbicide can now be used in six states—Illinois, Indiana, Iowa, Ohio, South Dakota and Wisconsin—and EPA is accepting comments until Nov. 14 "whether to register Enlist Duo in ten more states: Arkansas, Kansas, Louisiana, Minnesota, Missouri, Mississippi, Nebraska, Oklahoma, Tennessee and North Dakota," reports Delta Farm Press. EPA said its scientists "used highly conservative and protective assumptions to evaluate human health and ecological risks for the new uses of 2,4-D in Enlist Duo. The assessments confirm that these uses meet the safety standards for pesticide registration and, as approved, will be protective of the public, agricultural workers and non-target species, including endangered species" and pose no threat to human health. South Dakota medical school graduates who practice their residency within the state usually end up staying in state to practice medicine. But a shortage of open residency spots is forcing graduates to leave the state for their residency, resulting in many of those doctors beginning their careers out of state, leaving rural South Dakota with a severe lack of doctors, Scott Feldman reports for the Rapid City Journal. About 40 percent of people who get their medical degree in South Dakota remain in state to practice, but when they also have their residency in state, that number jumps to 77 percent, said Dr. Mary Milroy, president of he South Dakota State Medical Association, Feldman writes. The problem is that South Dakota currently has 225 medical students and only 134 residency spots. That means that about 40 percent of the state's medical students are forced to leave the state for their residency. That's bad news in a mostly rural state where "25 percent of South Dakotans live in a place with a shortage of primary health care options, and many of those people are in rural West River areas," Feldman writes. Milroy said the best way to improve the retention rate is "to increase the availability and range of graduate-level residency opportunities in the state." Increased use of natural gas will not reduce greenhouse gas emissions and could lead to higher CO2 emissions, says a study by the Potsdam Institute for Climate Impact Research published in the journal Nature. Five teams of experts—from the U.S., Germany, Austria, Italy and Australia—used computer model simulations to project what the world would look like in 2050 with or without the natural gas boom, says the Potsdam Institute. They all came to the same conclusion that natural gas does not reduce climate change. "Two computer models even found that when considering other factors like methane leaks, cheaper natural gas could lead to more trapping of heat by greenhouse gases, the mechanism that drives global warming," Seth Borenstein reports for The Associated Press. "Methane traps even more heat than an equivalent amount of carbon dioxide." 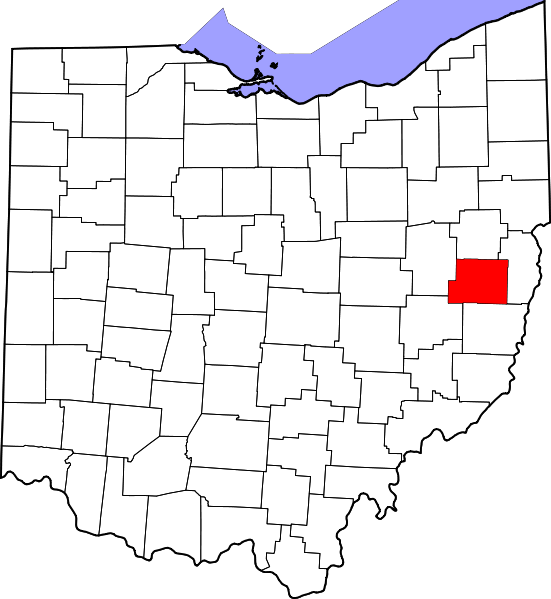 Hydraulic fracturing in Harrison County, Ohio, resulted in 400 earthquakes during three months in 2013, including 190 earthquakes over a 39-hour period, says a study by seismologists published in the peer review Seismological Research Letters, reports Seismological Society of America. "Only ten of the earthquakes measured by Friberg and his team were above negative magnitudes, all occurring between October 2 and October 19, 2013, and ranging from a magnitude of 1.7 to 2.2," Atkin writes. "Like the micro-quakes, those earthquakes weren’t felt by the public either because of how deep underground they occurred." ATP-SC (Allendale, S.C.), a process to convert plant and wood biomass into bio-products. Team lead: Joe James. Branches, Inc. (Neosho, Mo. ), an online, STEM-based learning platform that teaches design and fabrication. Team lead: David Parsons. Fergus Foods (Fergus Falls, Minn.), a rural food entrepreneur incubator and rental facility. Team lead: Robert Fuglie. Mobile Rural Veterinary Clinic (Panhandle, Texas), a mobile veterinary satellite clinic serving rural communities. Team lead: Joe Hillhouse. Pasturebird, LLC (Temecula, Calif.), a cost-effective method of producing pastured poultry on a large scale. Team lead: Paul Greive. Pulaski Grow (Pulaski, Va.), an aquaponics facility to provide local youth with job training. Team lead: Lee Spiegel. ScoutPro (Lone Tree, Iowa), software to assist farmers with crop maintenance. Team lead: Michael Koenig. Senior Move Management (Palmyra, Mo. ), customized moving and relocation services for older Americans. Team lead: Suzanne Ellerbrock. Shelf Life (Arlington, Tenn.), a hydroponic growing system for small producers. Team lead: Glenn Cunningham. StopFlood Appliance Systems (Inkom, Idaho), a product to prevent floods caused by washing machine hose failures. Team lead: Brent Singley. The U.S. has reduced the rate of juvenile incarceration by nearly half since the mid 1990s, as states turn to other methods, such as mediation, family therapy and substance abuse treatment, Dana Goldstein reports for The Marshall Project. "A large body of research shows that for juveniles, those interventions are more successful than incarceration in helping them avoid further crime, complete their educations and find employment." South Dakota leads the nation in highest rate of juvenile incarcerations, at 492 for every 100,000, Goldstein writes. Wyoming's rate is 433 incarcerations for every 100,000 juveniles, followed by Nebraska, 337, Oregon 281, West Virginia 278, Arkansas 270, Indiana 258, Kansas 255, Nevada 245 and North Dakota 241. The national average is 196, with Vermont having the lowest average with 59 incarcerations for every 100,000 juveniles. "A year in a West Virginia juvenile facility costs more than $80,000 per child, compared with $1,000 to $33,000 per child in community programs that have reduced recidivism by up to 20 percent in other states," Goldstein writes. "Research from the Pew Charitable Trusts shows that since 2002, stricter enforcement of low-level offenses like truancy have put thousands of kids into contact with the West Virginia juvenile justice system." 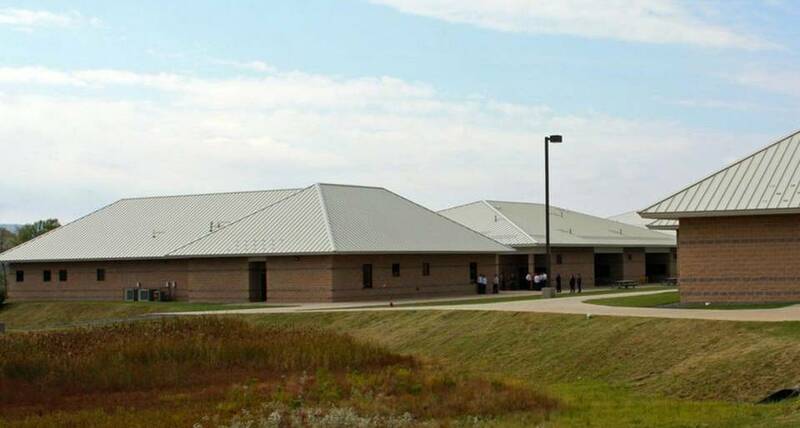 One West Virginia probation officer told Pew, “There is a considerable wait period for most therapeutic services in our surrounding area—a wait period that is unacceptable when I am faced with families that need immediate attention." Other rural states "that are lacking in treatment options, including South Dakota, Wyoming and Nebraska, are also taking an aggressive approach to minor infractions like truancy, alcohol consumption, school fights and violations of probation," Goldstein writes. "West Virginia, for example, defines truancy as more than five days of unexcused absences from school and confines juveniles for this offense at five times the national rate. While the school-to-prison pipeline is often thought of as an urban phenomenon, it is prevalent in rural areas, too." More than 10,000 California residents who received coverage under federal health reform are having their insurance canceled for failing to prove citizenship or legal residency in the U.S., Chad Terhune reports for the Los Angeles Times. "Covered California, the state-run insurance exchange, enrolled more than 1.2 million people during the rollout of the Affordable Care Act this year," Terhune writes. "For most consumers, the exchange said, it could verify citizenship or immigration status instantly with a federal data hub. But more than 148,000 enrollees were lacking proof of eligibility and needed to submit documentation. People living in the U.S. illegally aren't eligible for health law coverage." Overall, 10,474 people have failed to provide documentation, while another 7,629 documents are still being reviewed. If Republicans gain control of the Senate, it could be bad news for the environmental activists, Robin Bravender reports for Environment & Energy Publishing. "For the first six years of the Obama administration, Senate Republicans' minority status has handcuffed their efforts to rein in the environmental and energy policies they loathe. But if Republicans retake the Senate in this year's election, it'll be open season for attacks on President Obama's environmental agenda." "A GOP takeover of the Senate would mean Republicans could finally set the agenda for votes and hearings, haul Obama administration officials to Capitol Hill to testify, slice even more cash from controversial agencies' budgets and continue to stall nominees for key agency posts," Bravender writes. "Perhaps the biggest impact on agencies like U.S. EPA, the Interior Department and the Energy Department would be ramped-up efforts to cut their funding—and some of the administration's pet programs." Former Sen. Byron Dorgan (D-N.D.), a longtime member of the Energy and Natural Resources Committee, told Bravender, "Those three agencies are really important and a significant part of the president's agenda. If the Republicans take over the Senate, there will be an appetite for more aggressive hearings on how the administration is using its executive powers, there will be an appetite for riders and all the . . . things that have been bottled up that they want to do." In rural Virginia a World War II-era cannery is still plugging away and drawing visitors from all over who want the opportunity to can their own foods. 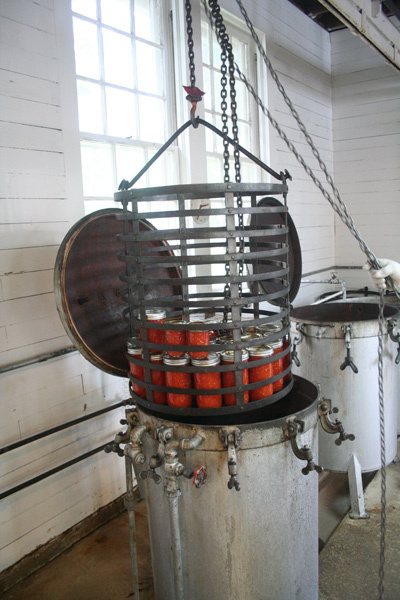 The community cannery in Keezletown is equipped with "industrial-grade canning equipment available, for a small fee, to anyone who wants to can a lot of food a lot faster than could be done at home," Andrew Jenner reports for Modern Farmer. "When billionaire Chris Cline's company bought an option to mine a swath of northern Wisconsin in 2010, the company touted the project's potential to bring up to 700 well-paid jobs to a hard-pressed part of the state," Meyer writes. "But the Florida-based company wanted something in return for its estimated $1.5 billion investment—a change to Wisconsin law to speed up the iron mining permit process." "So, Cline officials courted state legislators and hired lobbyists," Meyer writes. "And, unbeknownst to Wisconsin voters and lawmakers, the company waged a more covert campaign, secretly funding a nonprofit advocacy group that battered opponents of the legislation online and on the airwaves." "Since the Supreme Court's 2010 Citizens United ruling, which allowed corporations and unions to spend unlimited amounts on politics, hundreds of millions of dollars have flooded into the political system—much of it through nonprofit groups that have no legal obligation to identify their donors," Meyer writes. "In its push for a new state law, a Cline Group subsidiary gave $700,000 to a conservative nonprofit in 2011 and 2012. That group, in turn, donated almost $3 million in 2012 to a second, like-minded nonprofit that also campaigned to change the mine permit process, tax filings show." "Both nonprofits worked to pass the mining bill," Meyer writes. "One helped to write the measure and launched a radio campaign even before it was introduced. The other tried to pressure a Republican holdout. Together, the two groups played a critical role in defeating a freshman Democratic state senator who'd voted against the bill, paving the way for its passage months later. "With the help of ads funded by the two groups, the GOP retook the state senate in 2012 and passed mining legislation similar to what the company had wanted." "Although it is now widely—and inaccurately—portrayed as a costly welfare program, the War on Poverty was not a failure," Eblen writes. "If not for government anti-poverty programs since 1967, the nation’s poverty rate would have been 15 percentage points higher in 2012, according to a study published recently by the National Bureau of Economic Research." "For the many Americans committed to fighting economic injustice, the War on Poverty offers some valuable lessons. It showed what can work—and what is still working," Eblen writes. "It can even work in some of America’s poorest places, such as the Appalachian Mountains of Eastern Kentucky where Johnson traveled in 1964 to launch his 'war' from the front porch of a poor laborer’s cabin." "Johnson’s passion for ending poverty was not shared by his successor, Richard Nixon," Eblen writes. "By the early 1970s, the Nixon Administration had killed or neutered many War on Poverty programs." Districts evaluating teachers based on students' test scores is becoming a more and more common practice. In Houston, the teachers' union even sued their school district as a result. Those who condone the practice often cite research that highlights a connection among teachers, test scores and students' success in adulthood. However, Jesse Rothstein, an economist at the University of California, argues that this might not be a consistent measure of teacher effectiveness because teachers who are viewed as exceptionally skilled may just be "assigned good students or seek them out rather than making a difference in the test scores themselves," Max Ehrenfreund writes for The Washington Post. Economist Raj Chetty of Harvard University and two colleagues conducted the study in question. They found that students who performed well on tests earned more money later in life. President Obama even talked about the study in 2012 when he said, "We know a good teacher can increase the lifetime income of a classroom by over $250,000." This information becomes less meaningful if certain teachers are simply assigned or seek out better students. For example, what if one teacher is adept at working with students who don't speak English, while a second teacher has poor classroom management skills. The second teacher may be assigned well-behaved, dedicated students. The second teacher's students will likely perform better on tests—and earn more money in the course of their lives, like the study predicts—but this isn't because the second teacher is better. While Harvard's John Friedman did find that "when a teacher whose students did well on tests moved to a different school . . . the average score across that teacher's grade at the new school did improve, indicating that it wasn't just a matter of schools assigning the best students to particular teachers, Rothstein wasn't convinced," Ehrenfreund writes. Rothstein observed a similar correlation in test scores and incomes in North Carolina but noted that when a teacher whose students get good test scores moves to another school where scores were already going up, it's hard to determine how much of the improvement can be attributed to the new teacher. Chetty agrees that "whether value-added scores are the best way to assess teachers is still an open question," Ehrenfreund writes. Also, using students' test scores as the basis for awarding teachers better salaries or tenure might have negative effects if teachers don't seek to cultivate qualities other than academics in their students. "Once you start using value-added measures in practice, their signal quality might get eroded," he said. "People might start teaching to the test." He doesn't think teachers will make that mistake but doesn't have data to support it yet. Last month was the warmest September on record, and 2014 is shaping up to be the warmest year since the first records were recorded in 1880, Andrea Thompson reports for Climate Central. "This September was about 1.4°F above the 1951-1980 average temperature for the month, data from NASA’s Goddard Institute for Space Studies (GISS) showed. That makes it the warmest September in GISS records, edging out the previous September record set in 2005." This summer was the fourth warmest summer on record, and last month was the warmest August on record, Thompson writes. 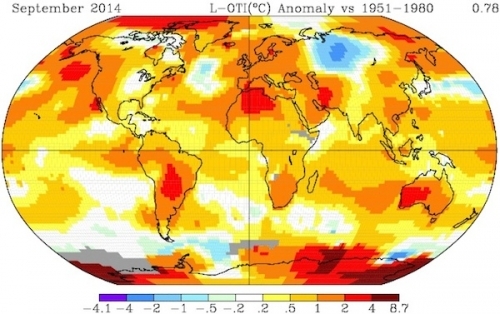 The warmest years on record, in order from warmest, were 2010, 2005, 1998, 2013 and 2003. Income inequality between male and female workers is most prevalent in the South and Northeast, says a study by Movoto Real Estate, Laura Allen reports for the organization's blog. 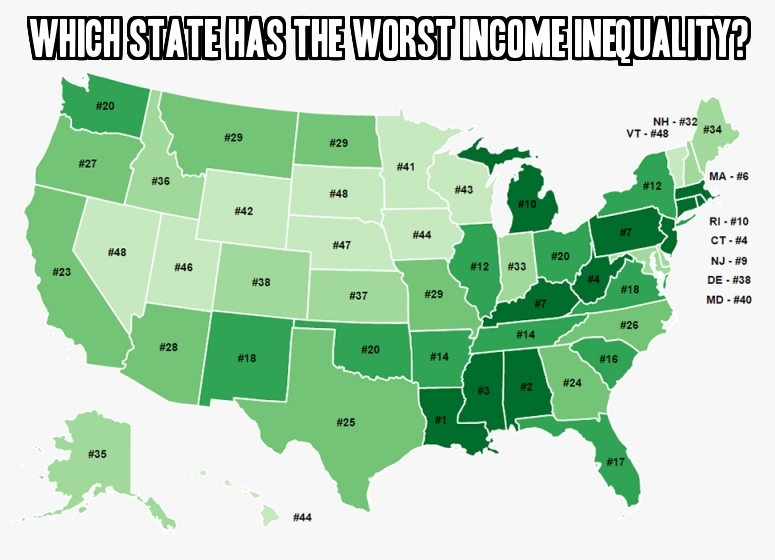 Louisiana, Alabama and Mississippi have the most inequality, while South Dakota, Vermont and Nevada have the most equality. The results were calculated by comparing median income between men and women, the percent of earning households compared to non-earning households, annual income greater than $100,000 versus annual income less than $25,000 and by using a state income Gini index, which measures inequality, Allen writes. From there, states were ranked from one to 50. Many schools have turned to agriculture, opening greenhouses or growing their own gardens to supply food to students or raise funds by selling products to the community. Others have created programs or teaching positions to make sure students learn the importance of agriculture, especially in counties or states that rely heavily on the business. Adam Hinton, president of A Better Community Foundation, said the group "raised $48,000 for Fleming County Schools to fully fund an Agriculture Education teacher for the 2014-15 school year," Spears writes. "Tracy Moran teaches in the new agriculture education program at Simons Middle School and at Fleming County High School, where Hinton said more than 58 percent of students participate in agricultural education programs each year." Texas, where 83 percent of land consists of privately owned farms, ranches and forests, is losing rural land faster than any other state, says a report by Texas A&M University, Marcos Vanetta and Neena Satjia report for The Texas Tribune. The main reason for rural land loss is continued growth around Austin, San Antonio, Dallas and Houston. The market value of land has also increased in almost every county but is increasing at faster rates in metropolitan ones, Vanetta and Satjia write. "Travis County, for example, lost almost a quarter of its open space while land gained an average of $8,297 per acre in value between 1997 and 2012." For an interactive map of changes in market value, click here. Last year in Indiana, 15,000 car-deer crashes were reported, said Indiana State Police Sergeant Joe Watts, Hunter Petroviak reports WTHI-TV in Terra Haute. "Watts says some tips to stay safe include using high beam lights when possible, watching for the reflection of eyes in the road and making a mental note that typically if there is one deer, there are more with it." In 2013 Missouri had 3,498 reported vehicle crashes involving deer, leading to 303 injuries, writes the Jefferson City News Tribune. 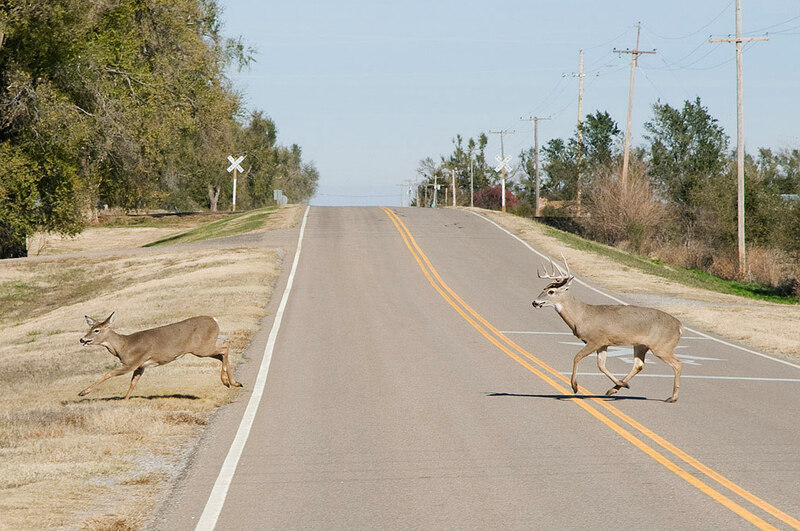 Most accidents occur between 5 p.m. and 7 a.m., deer typically travel in groups and deer crossings are more likely near streams or wooded areas surrounded by farmland. North Dakota has about 500 deer-vehicle collisions in 2013, resulting in $1.4 million in claims to repair vehicles, reports KQCD-TV in Dickinson. Drivers are better off bracing for an accident instead of swerving, said Jeb Williams, chief of the wildlife division of Game and Fish. He told KQCD, "Anytime you swerve to avoid something, especially if you're going at a high rate of speed, that you're increasing your chances to collide with somebody else or you're increasing your chances to roll that vehicle." 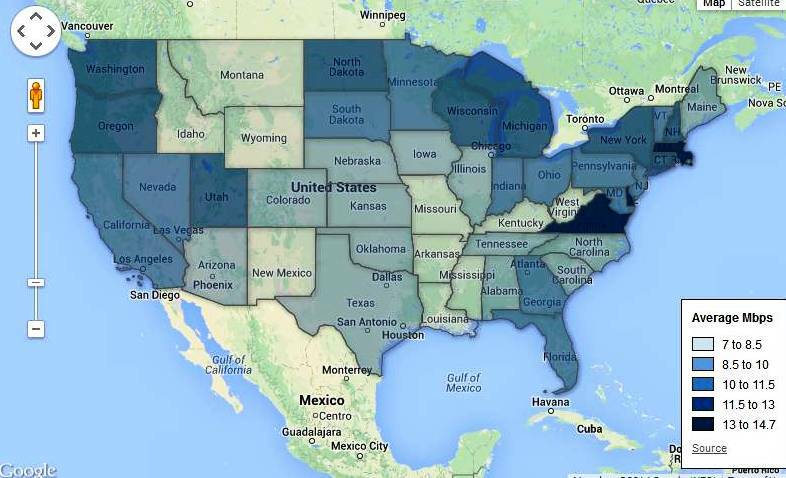 Virginia has the nation's fastest Internet, followed by Massachusetts, Delaware, Rhode Island and Washington, D.C., says Akami's “State of the Internet” report for the first quarter of 2014, Jack Linshi reports for Time. Alaska has the slowest Internet, with Montana, Kentucky and Arkansas not far behind. The average Internet speed in Virginia is 13.7 megabits per second, Linshi writes. Massachusetts and Delaware are 13.1, Rhode Island 12.9, Washington D.C 12.8, Washington 12.5, New Hampshire 12.3, Utah 12.1, Michigan 11.8 and Connecticut 11.7. All of those states except Virginia saw increases in average connection speed from the last quarter of 2013, led by Michigan, which increased by 13 percent from the last quarter and 42 percent compared to the first quarter of 2013. Virginia's speed decreased by 4.3 percent since the end of the last quarter in 2013. 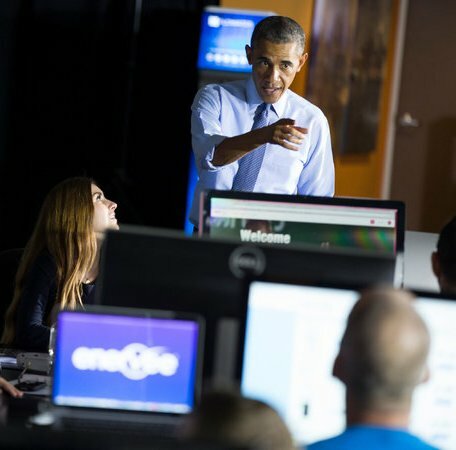 One of the biggest supporters of net-neutrality is President Obama, who said on Thursday that he is "firmly opposed to any proposal that would let companies buy an Internet fast lane to deliver their content more quickly to consumers," Edward Wyatt reports for The New York Times. Obama's "statements at a town-hall meeting in Santa Monica, Calif., on innovation gave a strong signal to Mr. Obama’s Democratic appointees on the Federal Communications Commission that he wants them to heed the overwhelming public sentiment expressed in 3.7 million comments sent to the commission in recent months concerning a set of rules proposed by the commission meant to protect net neutrality," Wyatt writes. "A large majority of those comments, solicited by the commission, came out against Internet fast lanes—a practice known as paid prioritization." In May, the FCC "sought comment on a preliminary proposal for a new set of rules intended to protect the 'Open Internet,'" Wyatt writes. "A previous set of rules, crafted in 2010, was struck down in January by a federal appeals court, which said the rules illegally subjected Internet service providers to utility-like regulation." "The new rules were meant to discourage broadband providers from discriminating against or blocking legal content requested by subscribers," Wyatt writes. "But they were interpreted as not banning the creation of fast lanes, in which a content provider like Netflix might pay an Internet service provider like Comcast a fee to give its content top priority for delivery to customers." 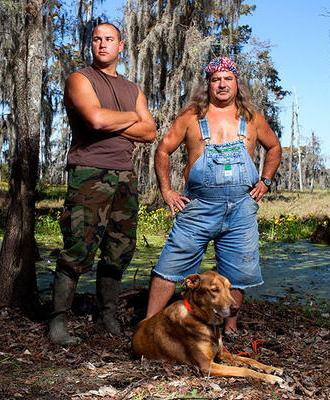 "As a new television season kicks off, series about strange subcultures of survivalists or blue-collar families, many of them with Spanish moss beards and grins that need some dental work, appear at almost every click of the remote," Jonsson writes. "There are 'Yukon Men' who confront the bestial elements 60 miles from the Arctic Circle, tuna fishermen who war off the coast of New England and 'Mountain Men' who navigate America’s uninhabitable ranges." 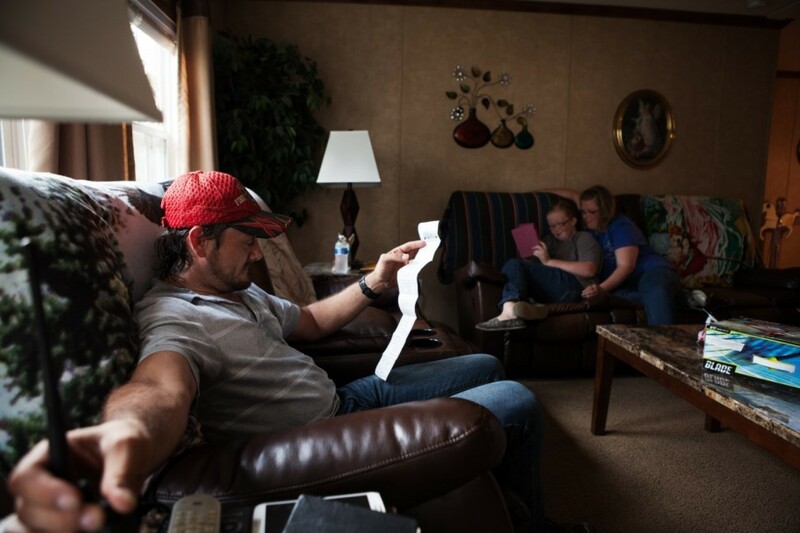 "The rise of redneck TV has paralleled one of the toughest economic stretches for the American worker since the Great Depression, a time of polarized politics and economic data that shows the middle-class dream is slipping away," Jonsson writes. "Some experts believe this malaise has pushed Americans toward the visual equivalent of escapism and comfort food." The Health Resources and Services Administration announced on Friday that it will award $1.4 million to help rural health organizations enroll rural residents in federal health reform, says a release from the organization. "Non-profit and public entities, including hospitals, health departments, community health centers and rural health centers in 57 rural communities, will receive up to $25,000 each from the Office of Rural Health Policy, housed within HRSA." Expanding Medicaid to cover more adults boosts health care access and use in rural populations, says a study published in Health Services Research, Stephanie Stephens reports for Health Behavior News Service. 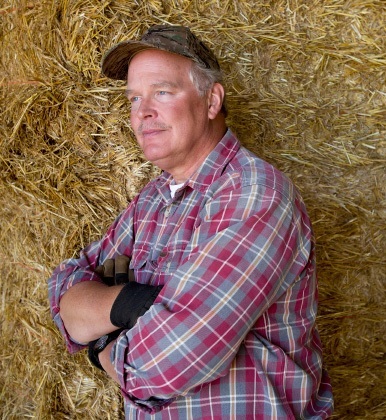 The study, using data from January 2007 to September 2012, focused on childless adults in rural Wisconsin, a state that "expanded public health insurance to include that group under a Medicaid special waiver." "The Wisconsin Medicaid expansion began July 1, 2009, but was closed after three months after more than 60,000 participants enrolled, leaving 100,000 hopeful applicants on a waitlist," Stephens writes. "The researchers compared people on the waitlist who wanted coverage but didn’t get it with people who were enrolled, in order to examine the effect of insurance status on health care use." Carol Guthrie, a southerner and head of the Organization for Economic Cooperation and Development's Washington Center, says a Washington Post article that used the center's data rankings missed the point when it labeled the South as having a low quality of life, Guthrie writes for the Post. The rankings don't offer an opinion about where it's good or bad to live, Guthrie writes. "One thing we don’t measure is perhaps the South’s most abundant natural resource: Southerners’ appreciation for living there. 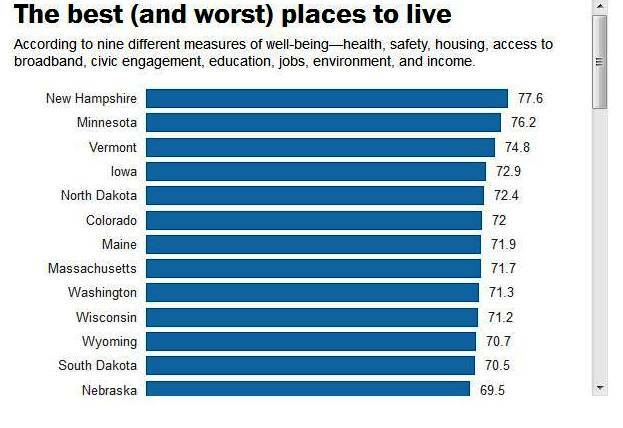 The data don't cover satisfaction or how we feel about home. They present objective criteria that underpin economic as well as physical well-being, including things that make our regions more or less competitive and able to provide vibrant quality of life." "The data—and the ability to compare it—are not tendered as criticism; they’re tools," Guthrie writes. "What we offer is the leverage of cold, hard facts to policymakers and citizens looking to bring about change. For instance: When you know that more than 40 percent of U.S. regions have a quarter of their population at risk of falling into poverty, versus less than 10 percent of regions in comparable European economies, you have proof that it must be possible to do better. And you might wonder how to go about that. We identify best practices and suggest what policymakers might do to tackle the most prevalent problems we find."